TCU Horned Frogs vs Texas Longhorns Predictions, Picks and Odds for their College Football showdown on September 22, 2018 from Royal Texas Memorial Stadium. 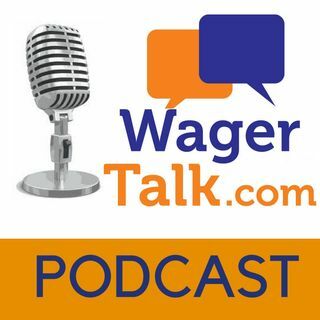 Direct from Las Vegas, WagerTalk.com TV host Kelly Stewart, Marco D’Angelo and Gianni the Greek look at the Vegas odds and give their college football expert picks and predictions on the matchup between TCU Horned Frogs vs Texas Longhorns. Current Vegas college football odds have TCU favored by 3.5 over Texas (updated TCU Horned Frogs vs ... See More Texas Longhorns College Football Odds from Vegas http://www.wagertalk.com/livelines). 📲 WagerTalk Text Club (100% Free): Just text WAGERTALK to 33222 to get a $10.00 coupon for signing up (plus free picks and special offers)!